There is nothing wrong with having such goals and with seeking help to achieve them, but I think the help people really need is more profound. If you ask for my advice, I will tell you, whatever your external goals might be, to give attention to the work that really matters, which is the refinement of your intent. Remember that the privileged do not have a monopoly on happiness and the poor do not have a monopoly on suffering. 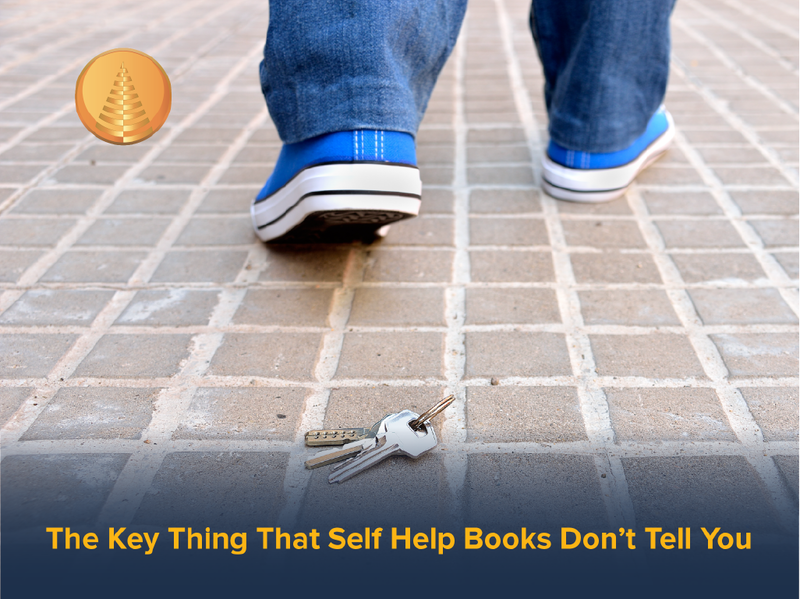 What do Self-Help Books forget to tell you? As individuals we forget where our freedom and fulfilment comes from. To be free is to be the author of your own choice, and, most importantly, to be the author of your own condition. It is somewhat of a divine cosmic joke that it is ourselves that are guilty to robbing ourselves of our own freedom. To construct your intention on expectation is to become the slave and the victim of the other and to lose your freedom. Freedom is concerned with basing your intention and attention on your contribution. To put this another way, you lose your freedom when you are entirely condition by the pursuit of some external goal because that goal will determine all your choices and will determine your condition. Your freedom is actually a function of your ability to lose things, not to gain them. Fulfilment is something closely related to satisfaction. We might say that to be fulfilled means to be satisfied with how things are. It is the feeling that you get when do not feel like something is missing. Unfortunately, the totality of the other, the world beyond the individual, rarely delivers a set of circumstances that coincides totally with what will satisfy the self at that time. For a person to focus their attention on what they want from the other therefore cultivates discontentment or dissatisfaction. But, one’s own behaviour, in other words, what one is doing to or giving to the other, is always within one’s own control. To concern your self with the nature of your contribution is therefore to cultivate a habit of fulfilment. In other words, fulfilment, like freedom, is not about changing the world, it is about changing yourself. Helping people get this right is the real help they need. What about our good goals? My son has challenged me on this point. His view is that this pursuit of contentment sounds quite selfish. He thinks that the world needs changing, that it is in a sad state and requires people who care enough about outcomes to intervene in its interest, and this is true. I remain convinced, though, that the most dramatic thing we can do is to change our own intent. Let us examine the utopian programmes of the last two centuries. The common denominator of the Fascist movements of the 30s and 40s, the Marxist movements of the last century and the current millenarian religious fundamentalist movements is that they all held as their intent, the creation of a better world. What they share is an unconditional commitment to outcome and an expedient take on process. They will do whatever needs to be done to achieve the end, no matter how brutal. What I am suggesting here is that it is much more important to be unconditional about the process and open-ended about the outcome. True benevolence is about doing the right thing in the moment, it is not about blindly pursuing some goal, no matter how good that goal may seem. If you are not mindful of this you may pave the road to hell with your good intentions. From a sporting point of view, winning is not everything, but playing the game well and honourably is. How to Meditate What Does Empowerment Mean?